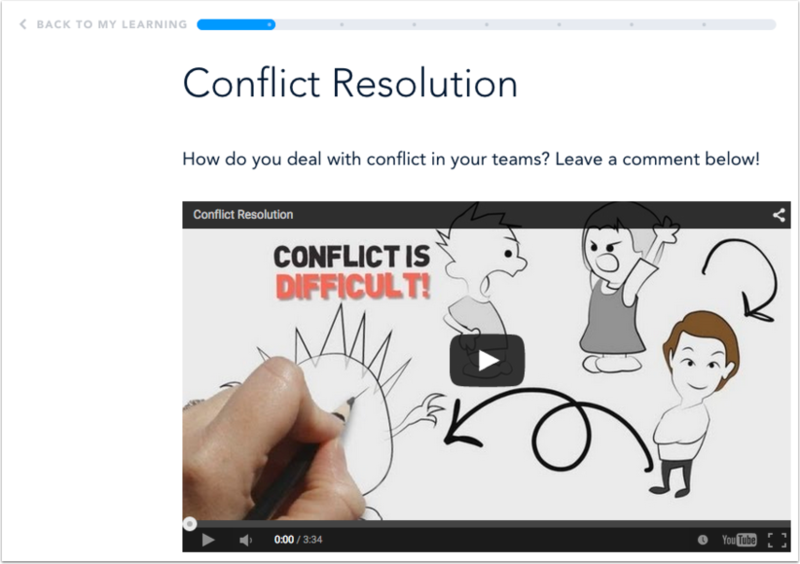 You can post or reply to comments in courses with comment-enabled slides. View comments. To show more comments, click the Show more link. In the comment field , enter your comment. To add an image to your comment, click the image icon . To delete the image, hover over the image and click the Delete button. When you're ready, click the Post Comment link. 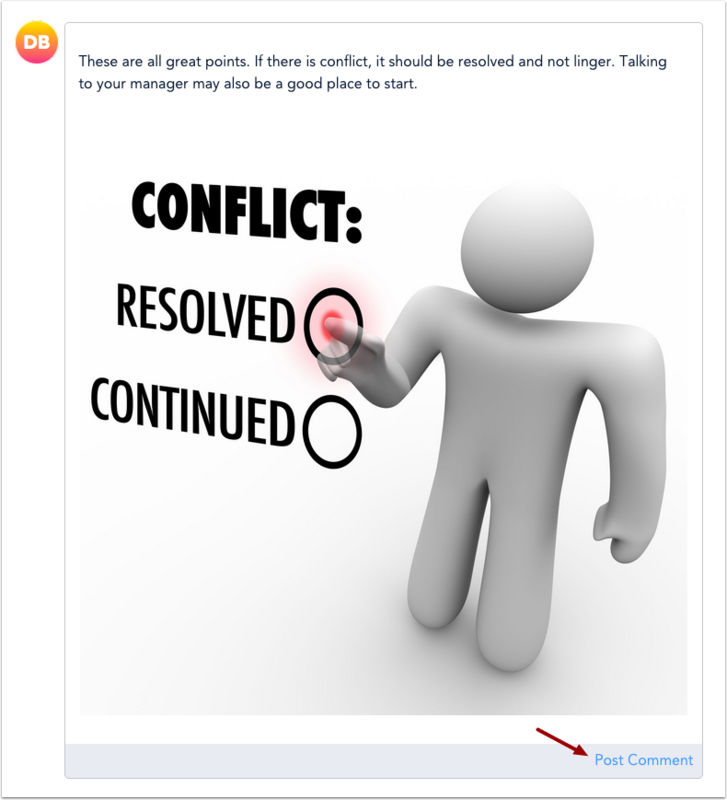 Note: You will not be able to edit or delete your comment once it has been posted. To reply to a comment, click the Reply link . 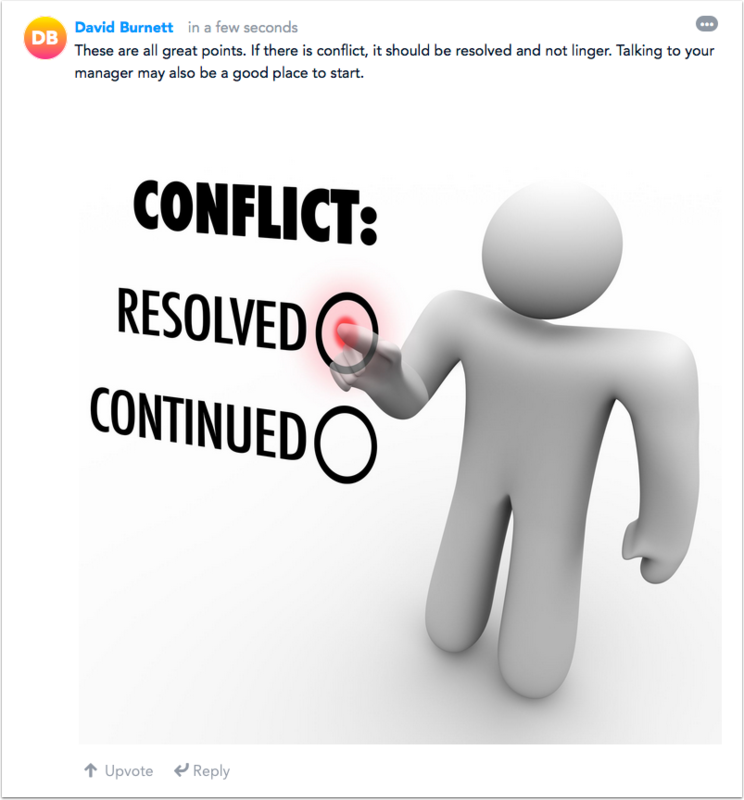 Enter your comment in the comment field . When you're ready, click the Post Comment link . View your reply. Replies are displayed below the parent comment. 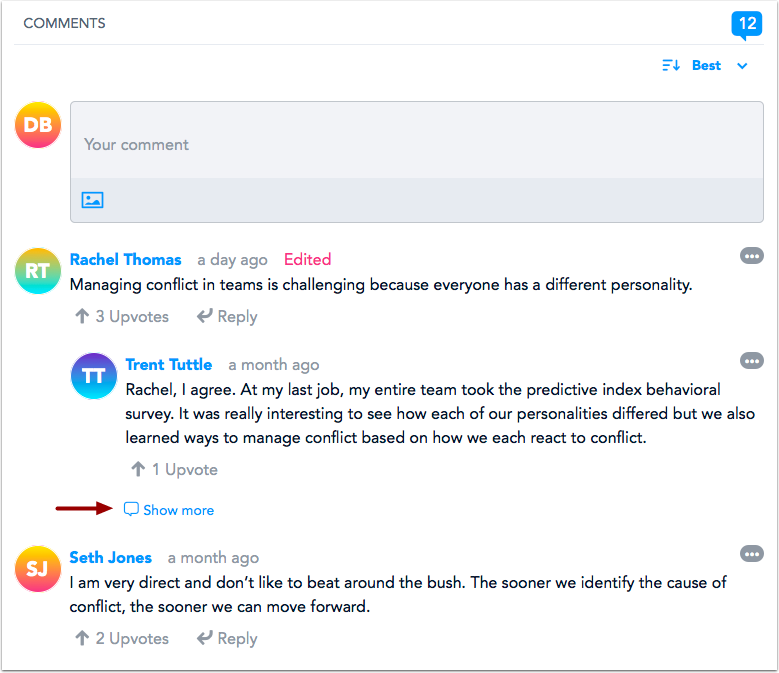 Learners can post a reply to the parent comment, but cannot develop the conversation beyond two layers of nesting. Previous Topic:How do I view comments in a course? Next Topic:How do I edit my comment in a course? 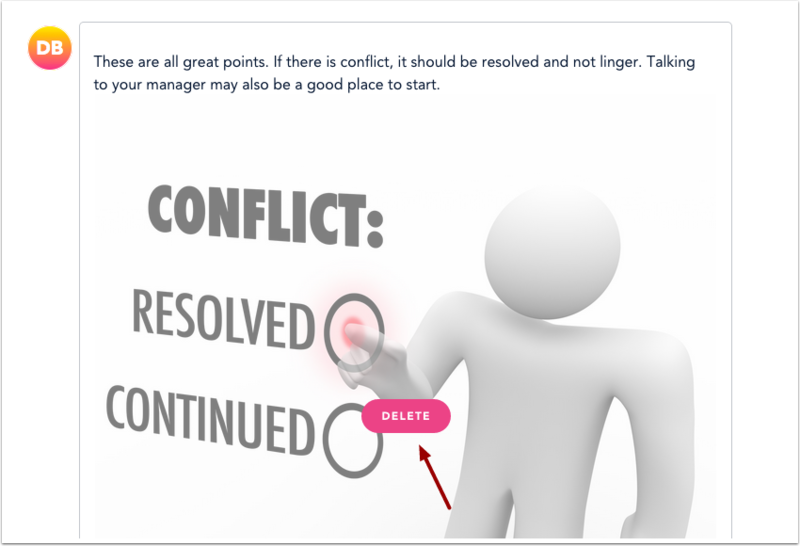 Table of Contents > Learners > How do I post or reply to a comment in a course? 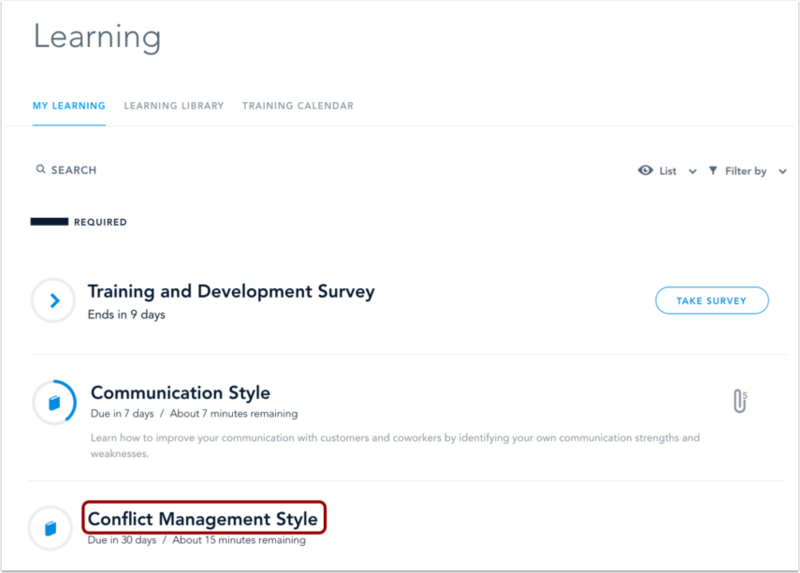 How do I edit my comment in a course?